Seventeen votes. That was the margin of victory – out of more than 87,000 votes cast – by which Johnny A. 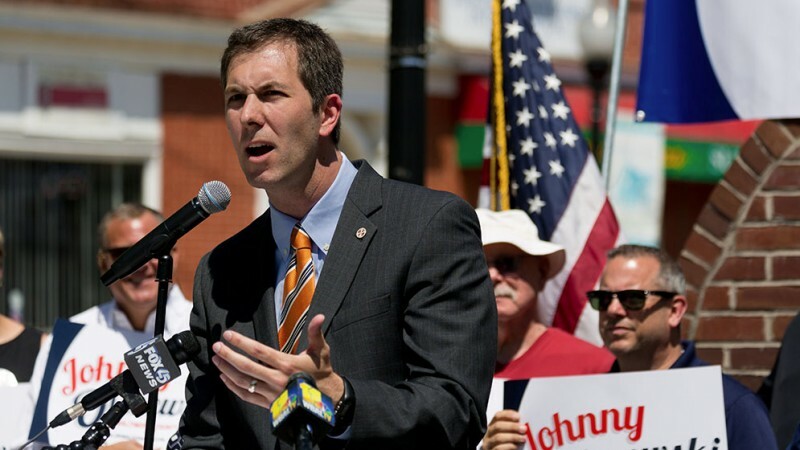 “Johnny O” Olszewski Jr. defeated Jim Brochin in the Democratic primary for Baltimore County executive. Tonight the Baltimore County Elections Board declared Olszewski the winner after undertaking a manual recount of the June 26 primary. Three days of recounting by the board yielded a handful of “over votes” for each candidate. Prior to the recount, which was requested by the Brochin camp, Olszewski had won the primary by 9 votes. Barring a legal challenge, the 35-year-old former teacher and ex-state delegate from Dundalk will face Republican Al Redmer in the November general election.